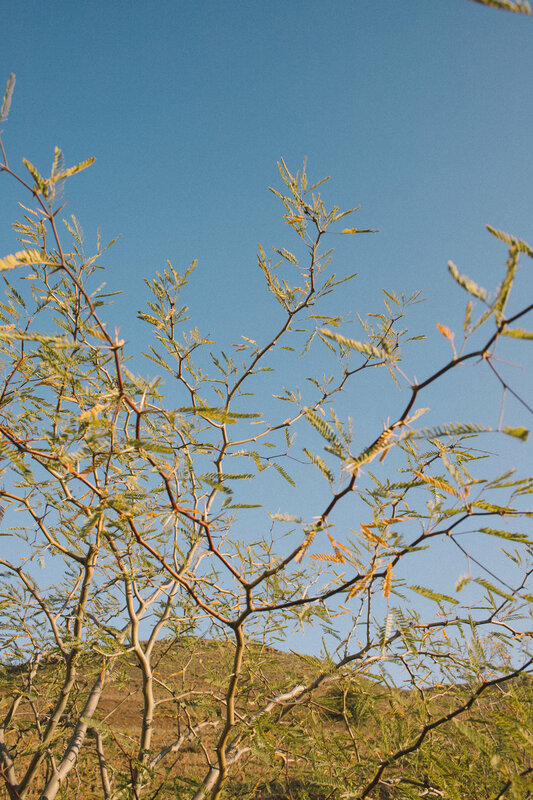 Going to the Karoo in South Africa felt like stepping back in time. Life here is slow and revolves around nature. 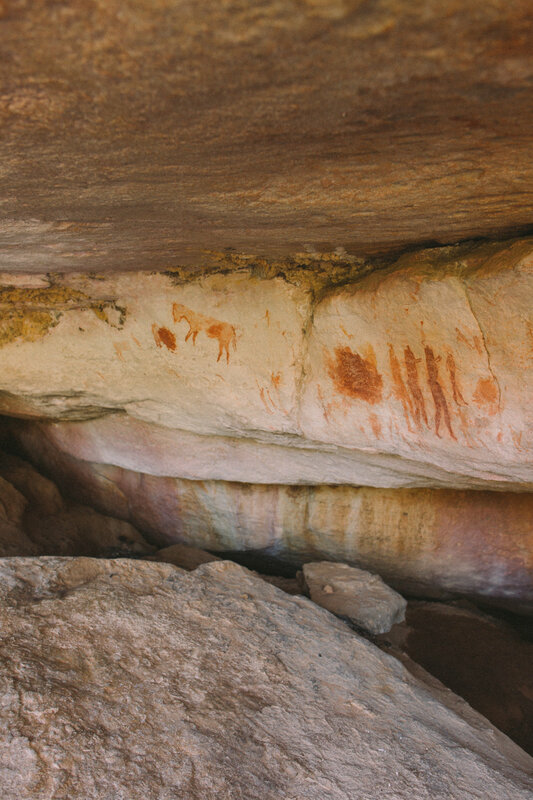 This particular region, near the Cederberg Mountains, is one of the most preserved and dense locations in the world for ancient rock paintings. 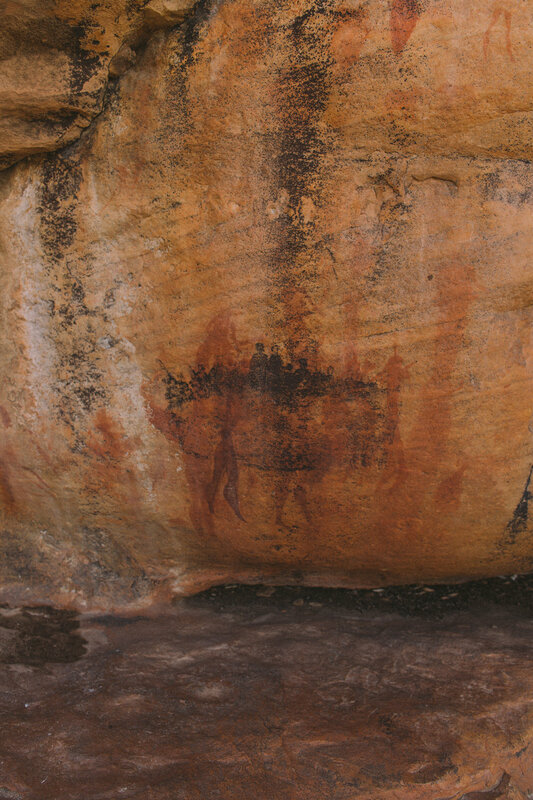 With little rainfall, dry conditions, and sparsely populated people, the paintings have lasted millennia. In springtime, wildflowers bloom around the countryside, adding explosions of color to an otherwise muted landscape. Enjo Nature Farm is the best place to experience it all. 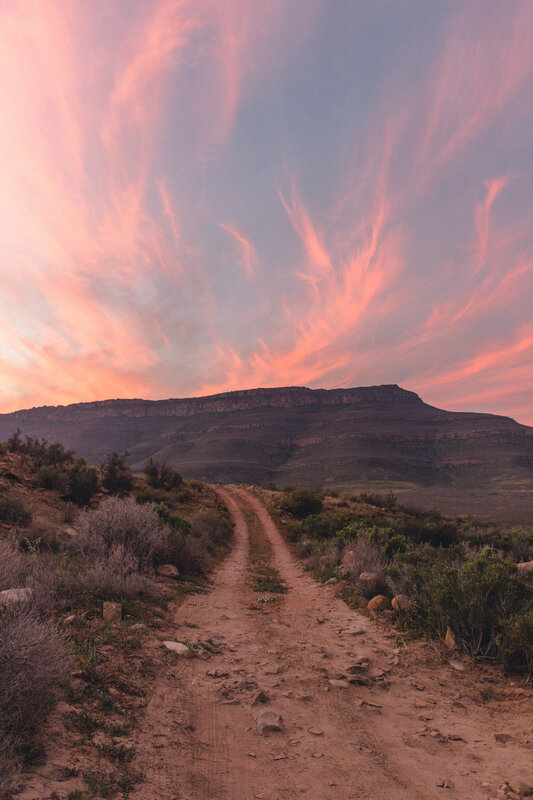 It’s technically located in the Cederberg Mountain area, but it’s far enough that the environment is much more arid and Karoo-like. 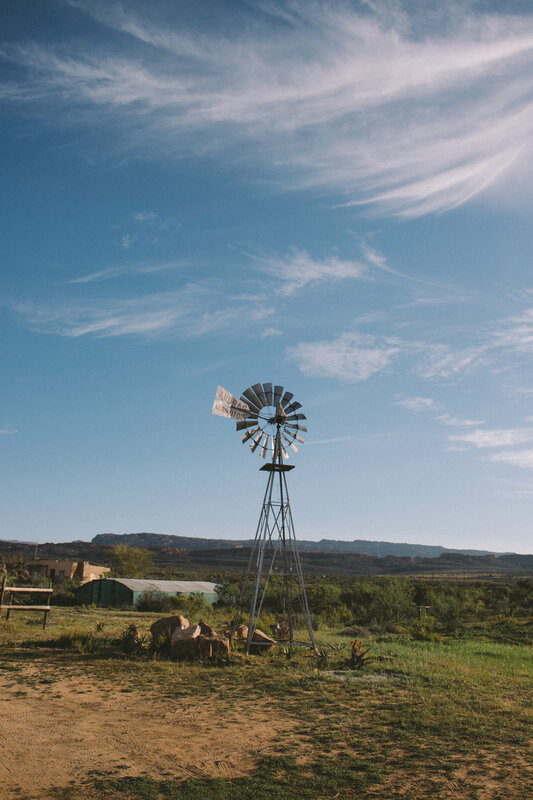 After traveling on a dirt road for one hour out of Clanwilliam, you arrive at a small settlement (the only one for miles) which is a great base to explore the surroundings. 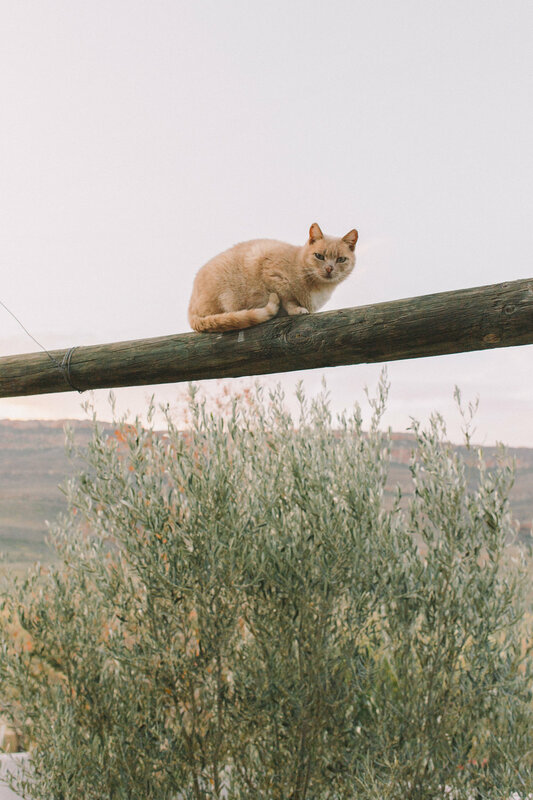 We made friends with geckos (not really), cats (attempted to) and horses (successfully). Enjo Nature Farm has a beautiful blend of African, Cape Dutch and Mediterranean decor and architecture.